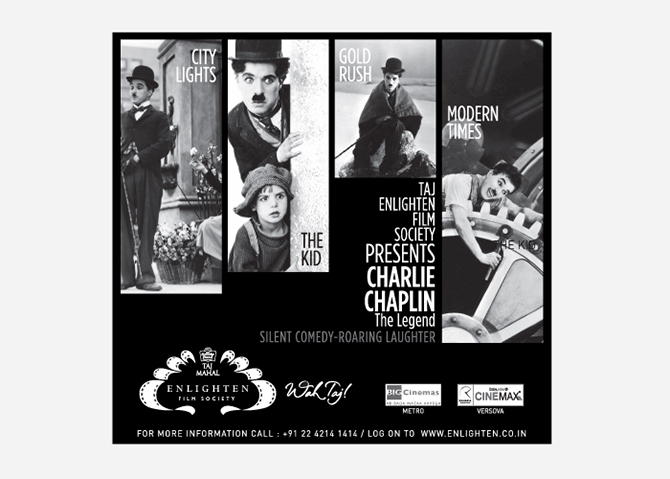 ENLIGHTEN FILM COMPANY — INK INc.
Enlighten is the leading distributor of World Cinema in the Indian home video market. The company also setup the Taj Enlighten Film Society, India’s largest film society, in partnership with Brooke Bond’s premium tea brand, Taj Mahal. 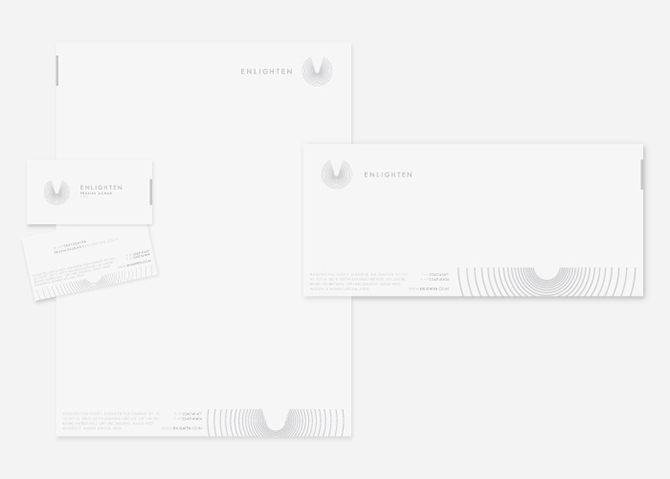 Enlighten gave us a simple brief – create a logo that is a better representation of the name ‘enlighten’, and reduce the emphasis on the letter ‘E’ used in the earlier logo. The logo would also need to represent both the distribution company as well as the society. Our solution was to blend two design concepts – the ray of light and the concentric circles. The ray of light emitting from the centre represents the medium of film as it cuts through closed concentric circles. The ray of light opens or ‘throws light on’ that which was not accessible before, eluding to the specific genre of world cinema that the company promotes. 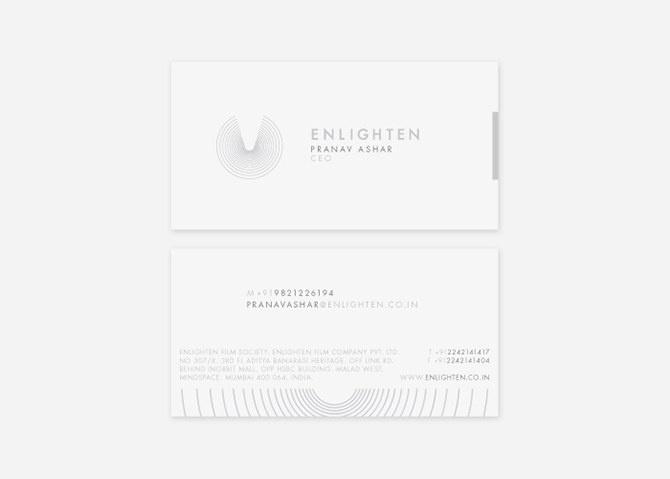 The color and font used in the business identity, emphasize the understated strength and leadership of a company dedicated to bringing world class entertainment to the Indian audience. 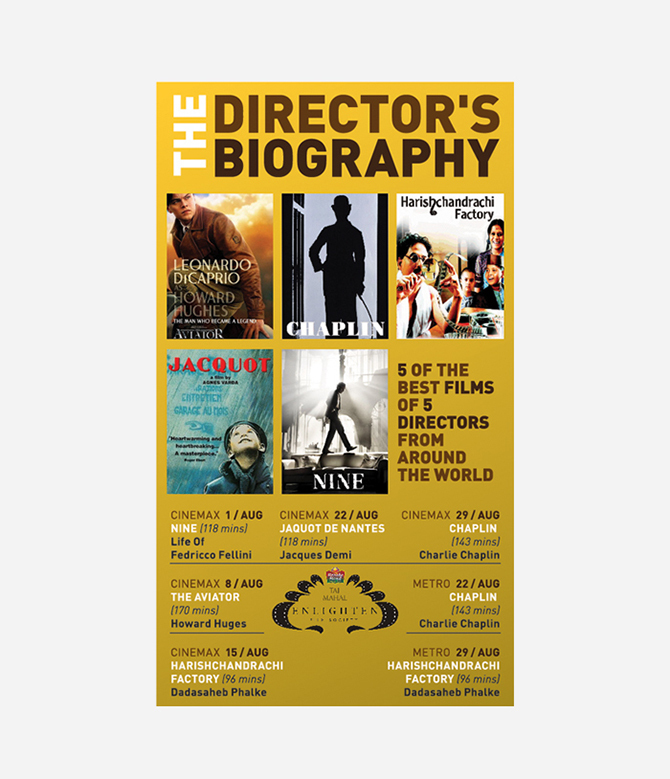 Promotional Communication Material / Bookmarks. Retail Design / Festival Kiosk.